Derek and I had the privilege of using the Robinson Township Library’s extremely large activity space to teach woodworking. 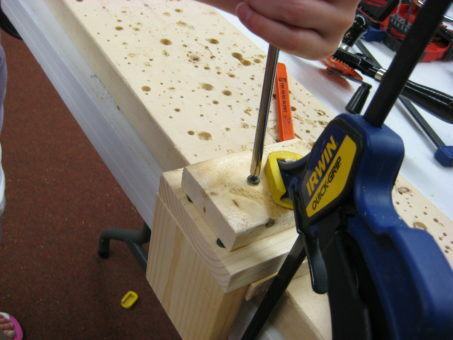 We taught visitors how to use hammers, hand drills, saws, sand paper and screwdrivers. We planned to have the families experience and learn about the tools. 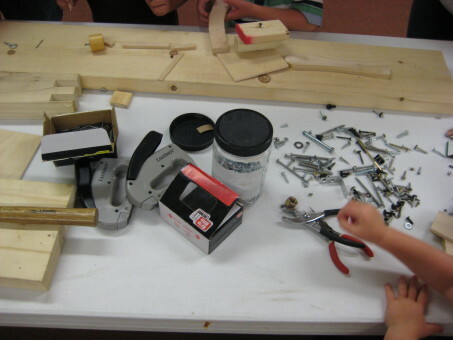 Some of the families asked if they could create something (a sculpture or a structure) using the tools and wood. We would never stifle creativity. Everyone got to work once we had everyone comfortable with using the tools safely, along with understanding the importance of clamps and patience. This was a really fun night. 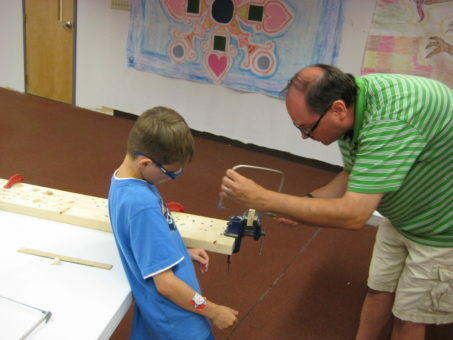 We spent a good amount of time making a lot of noise and creating a lot of saw dust at the Robinson Township Library.